A rare offering, this exemplary brand new home is blessed with light-filled open plan living and dining. 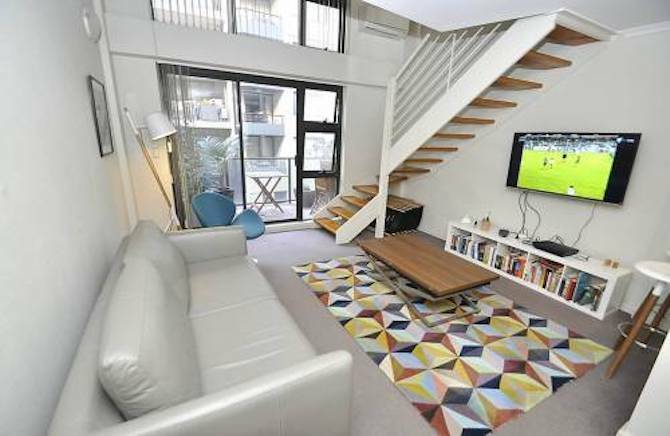 Centrally located within the Docklands precinct, close to public transport and the Yarra River, this residence is ideal for the corporate traveller and holiday maker alike. Sleek, streamlined kitchen with stainless steel appliances and natural views. Wifi Internet and an enormous widescreen TV also included. This executive townhouse comes complete with towels and linen, modern furniture, fixtures and fittings, including a widescreen TV, washing machine, dryer, dishwasher, air conditioning and secure car parking. In fact, everything is provided, just bring your suitcase! “SERVICED” – We offer fully furnished corporate and holiday rentals including linen and towels. There is no daily housekeeping. Extra housekeeping can be provided upon request at an extra service fee please enquire.